“Congratulations to the OnApproach team and the M360 Enterprise credit union user community,” stated Jack Antonini, President & CEO, NACUSO. "We are excited to award OnApproach the title of New CUSO of the Year. OnApproach has a proven commitment and solution to empower credit union analytics and collaboration. OnApproach’s model fully embodies the innovative and collaborative principles of NACUSO, and the credit union community is fortunate to have the opportunity to leverage their solutions." “NACUSO provides a wonderful forum for credit unions and CUSOs to collaborate and generate efficiencies that strengthen the entire industry,” said Paul Ablack, CEO, OnApproach. “The collaborative model is extremely important to us and we believe industry collaboration for analytics is the only way the credit union movement, as we know it, will thrive in the new digital age. 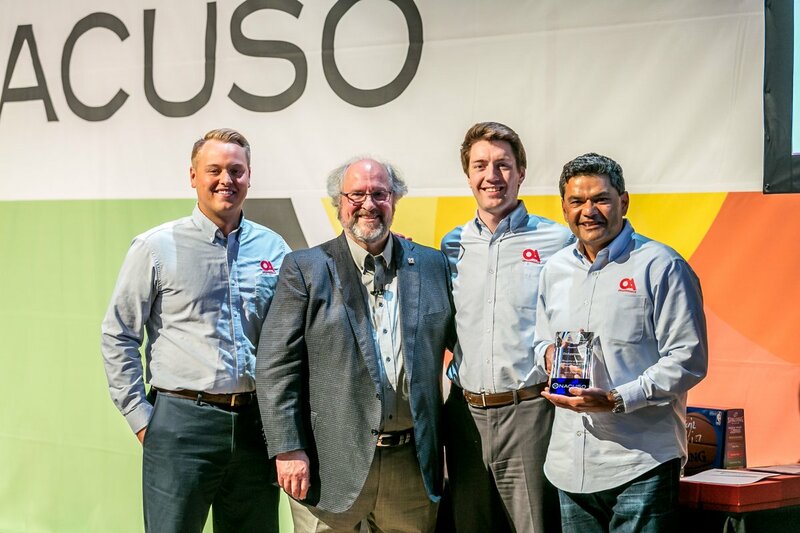 We are very proud to be awarded the title of New CUSO of the Year, and we appreciate NACUSO’s continued efforts to help transform the credit union industry.